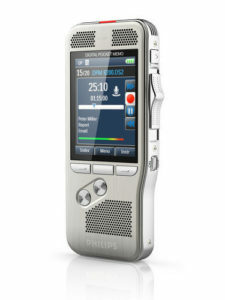 Philips dictations devices are simple and easy to use for busy professionals. Philips believes in the power of simplicity. Their advanced hardware solutions are developed to make your dictation workflow user-friendly and improve your daily working life. Their outstanding reputation for quality and reliability has made them a global leader in the professional dictation market. Practical technology, sophisticated yet simple, allows you to enhance your working environment and simply work smarter. Below is an overview of the most popular hardware devices from Philips that are compatible with our solutions. 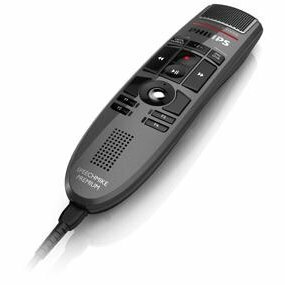 Also known as the SpeechMike Premium – this handset has a free floating, decoupled microphone, a built in noise reduction pop filter, optimised control panel with tactile buttons and ergonomic design and up to 60 cm/23 inches barcode scanning. Trackball for integrated mouse function. This Pocket Memo device has a 3D microphone which delivers the best audio quality in any recording situation. It has a built-in motion sensor for automatic microphone selection and robust stainless steel casing for extra durability. 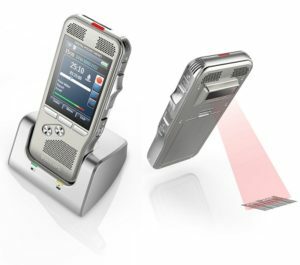 This Pocket Memo device similar to the 8100 has a 3D microphone for best audio quality. It also has a slide-switch operation (record, stop, play, fast rewind) and an integrated barcode scanner. Large color display and clear user interface for easy, intuitive operation. 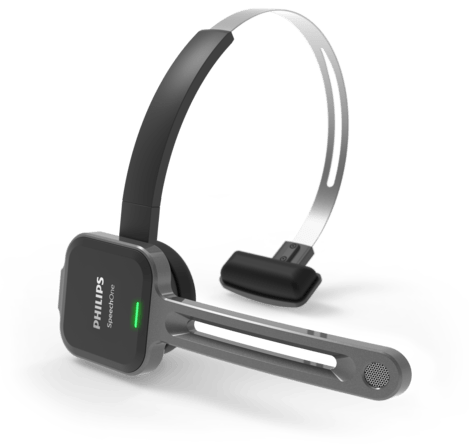 Philips SpeechOne Wireless Dictation Headset has been specially designed for users that will benefit from hands-free dictation or speech recognition to create documents. Automatically turns red when recording.